The A8S features an LCD display measuring up at 6.4 inches, with a resolution of 2340 x 1080 px. The hole in the top left of the screen makes this phone unique. 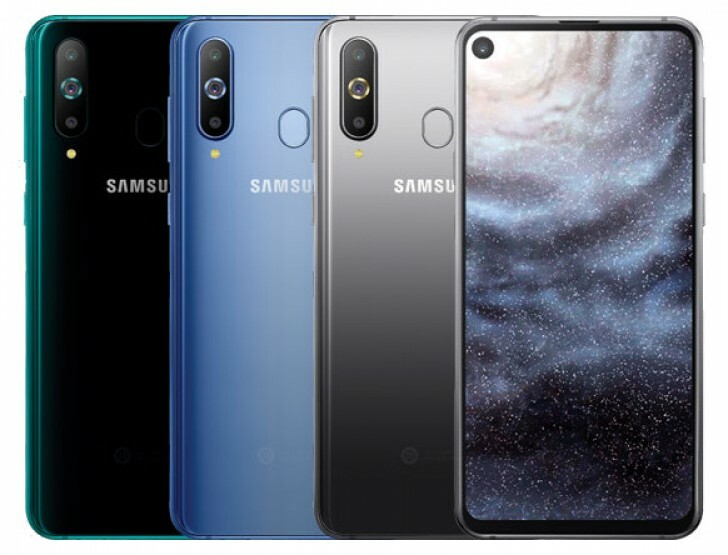 In place of a notch is a revolutionary “punch hole”, a screen type Samsung calls Infinity-O. This hole contains the selfie camera with 24 megapixels and an f/2.0 aperture. Turn the A8S over and you’ll see a triple-lens camera: the main camera has 24 megapixels and an f/1.7 aperture, along with a 10-megapixel telephoto sensor, and a 5-megapixel sensor used for depth-sensing. Photo quality is a given at pretty much every level of the Samsung range, and one, therefore, expects big things from the A8S. The Samsung Galaxy A8s has a Qualcomm Snapdragon 710 processor, making it something of a rarity; very few “premium midrange” phones can boast a 700-series processor, so this is a big selling point. Options for 6GB or 8GB of RAM will be available, and 128GB of standard storage can be boosted to up to 512GB thanks to the MicroSD card slot. The 3,400mAh battery should help power it for at least a day of average use. Samsung continues to impress with each and every release of their smartphones. The A8S is no different and has been revealed to much acclaim. That “punch hole” in the screen is just one reason why everyone is talking about this particular model! The phone is currently available for pre-order in China on JD.com. The list price is CNY 2,999 for the 6GB variant, which corresponds to about NZ$749 including GST. The predecessor Samsung Galaxy A8 (2018) presently retails at $599 on PriceMe. We expect the phone to be available locally at the end of January.